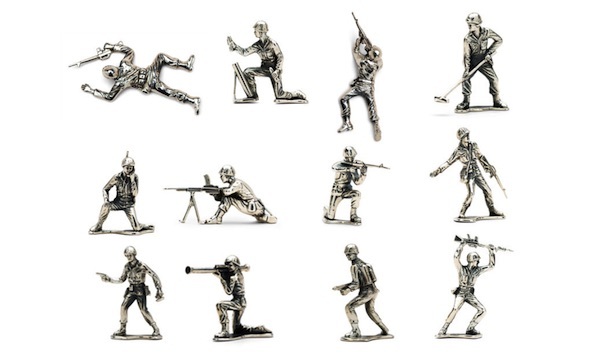 If you’ve ever wondered what Richie Rich played with as a kid, here’s your answer: silver army men. That’s right, they’re your classic green army men, complete with a mortar man, a grenade throwing guy, and a bazooka guy (who totally beats your officer with a handgun, AJ from second grade!). Except they’re all frickin’ silver. Individuals will run you $200, a whole squad will cost $2,585.